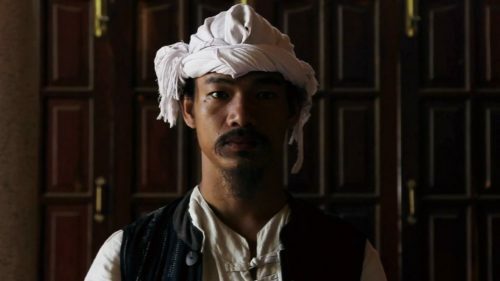 The essay film, made in the form of an anonymous exchange of letters between a man and a woman, was initially inspired by the fact that the government of Vietnam plans to build the country’s first two nuclear power plants in Ninh Thuan (formerly known as Panduranga), right at the spiritual heart of the Cham indigenous people, threatening the survival of this ancient matriarchal Hindu culture that stretches back almost two thousand years. Nguyen Trinh Thi is a Hanoi-based moving image artist. Her diverse practice, transcending the boundaries between cinema, documentary and performance, has consistently engaged with memory and history. Her works have been shown at international festivals and art exhibitions including Jeu de Paume, Paris; CAPC musée d’art contemporain de Bordeaux; the Lyon Biennale 2015; Asian Art Biennial 2015, Taiwan; Fukuoka Asian Art Triennial 2014; and Singapore Biennale 2013.